Originally called Evergreen Cemetery, Bonaventure was a private commercial enterprise. It was established in 70 acres of the original Bonaventure Plantation when it became obvious the city’s existing cemeteries were nearing capacity. Evergreen Cemetery was designed as a traditional Victorian cemetery with curving pathways, lots of trees and grassy areas. Although a cemetery, it was common for families to meet and picnic here while still providing a place of comfort and solace for the bereaved friends of relatives of those buried there. Evergreen Cemetery was purchased by the City of Savannah in 1907 to become the fourth of the five cemeteries the city currently owns. Since then it has expanded from the original 60 acres to nearly 103 acres. 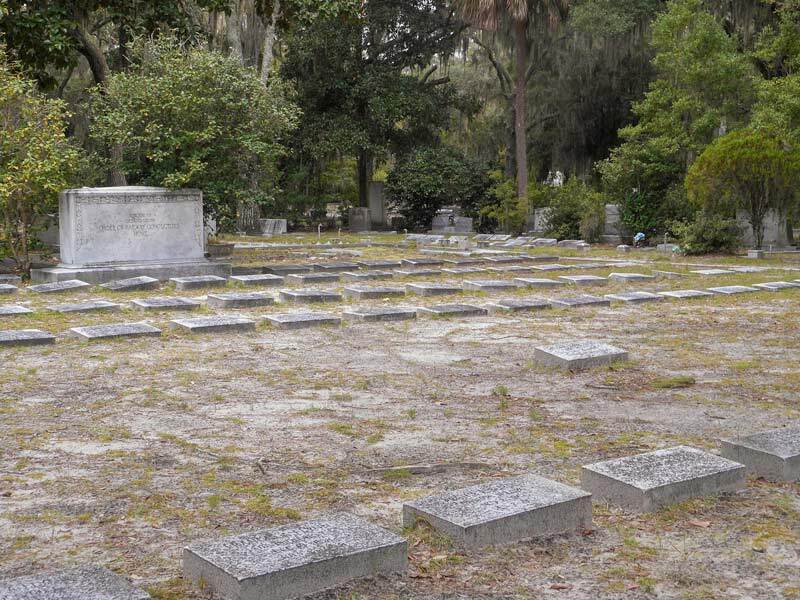 The cemetery has been redesigned by the City of Savannah to provide a greater number of gravesites and more efficient maintenance than could be offered by the Evergreen design. This 18 minute video about the history of Bonaventure Cemetery was filmed and produced by former Bonaventure Historical Society intern, Daniel Hancock. Daniel recently graduated from Georgia Southern University with a Masters Degree in History. BHS is proud to partner with Georgia Southern University and other institutions around the Coastal Empire to help educate and cultivate great young minds.